BP and its partners on the Greater Tortue Ahmeyim liquified natural gas (LNG) development have announced agreement on the Final Investment Decision (FID) for Phase 1 of the project. The decision was made following agreement between the Mauritanian and Senegalese governments and partners BP, Kosmos Energy and National Oil Companies Petrosen and SMHPM. The Greater Tortue Ahmeyim project will produce gas from an ultra-deepwater subsea system and mid-water floating production, storage and offloading (FPSO) vessel, which will process the gas, removing heavier hydrocarbon components. BP claim this is the “first major gas project to reach FID in the basin”. Bernard Looney, BP’s upstream chief executive, said: “Achieving sanction for the ground-breaking Greater Tortue Ahmeyim development, and at such a fast pace, is testament to the dynamic partnership working together to bring this innovative project onstream and establish a new deepwater gas value chain. 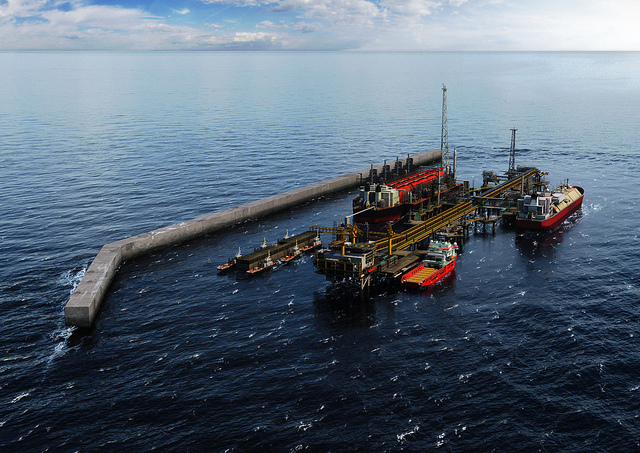 The gas from the development will be transferred to a floating liquefied natural gas (FLNG) facility at an innovative nearshore hub located on the Mauritania and Senegal maritime border.